Referred to as DME, Moundsville Pharmacy stocks the grab and go medical supplies in a full service environment. We can help you determine what will work best for you. Knee high, thigh high, or panyhose. Open toe, closed toe. Colors. And sizes. We will help fit you to the right size and compression. Moundsville Pharmacy stocks most sizes and colors. Additional sizes and colors can be ordered. Most can be received the next day!!! High quality, durable supplies to help you stay independent and reduce your risk of falls. 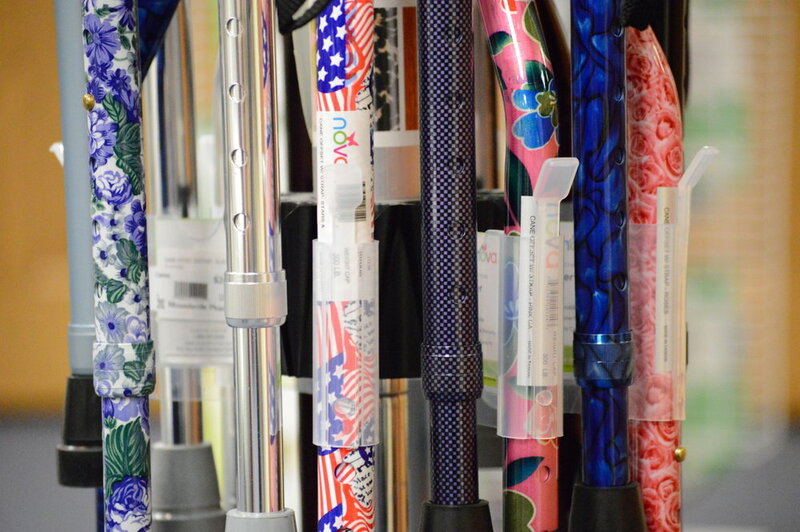 Designer canes in unique, colorful, and seasonal styles. Make your accessories stylish! 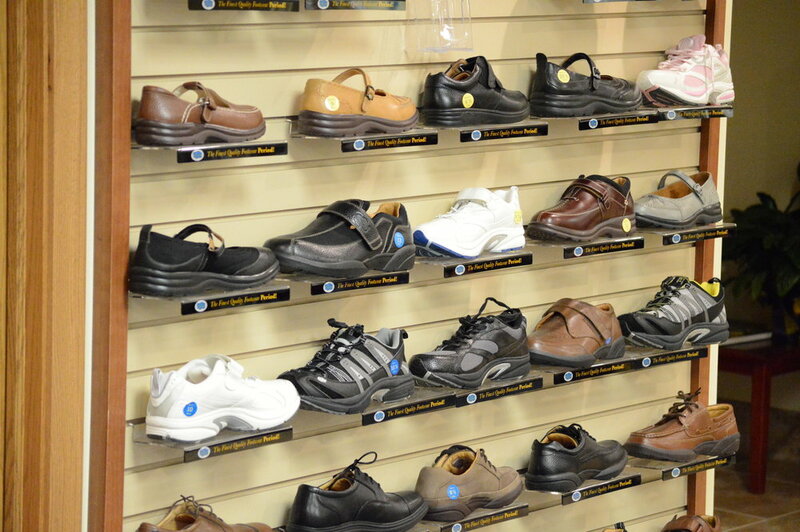 Diabetic Therapeutic Shoes in a variety of styles and colors. Fit by a certified pedorthist. Requires a prescription. Walker Supplies including wheels, skis, grips, tips, handles, bags, and baskets. Accessories for your walker today! Sometimes we all need a little help. A crutch to lean on. Or a little help reaching the floor. We can help!